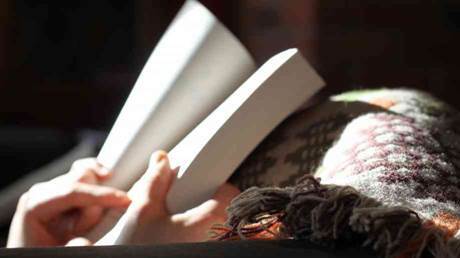 A new report has highlighted the benefits of using reading as a form of social connection in order to help radically improve the lives of the isolated people of our nation. A Society of Readers, published by the think tank Demos and commissioned by national charity The Reading Agency, says that loneliness in the UK will reach epic proportions by 2030, with seven million people experiencing loneliness in the over-60 age group alone. With two million people likely to have a shortened life due to loneliness, the report finds that reading books can significantly reduce feelings of loneliness for people aged 18 to 64 and is increasingly associated with having close relationships. Therefore, the two organisations are calling on the government to take reading more seriously and invest £200 million in using reading to combat loneliness. The report also recommends the creation of ‘Book Relief’ along similar lines to Comic Relief fundraiser Sport Relief, to raise money for reading charities and raise the profile of reading. Sue Wilkinson, Reading Agency chief executive, said: “Demos’s predictions for 2030 offer a desperately concerning outlook. If we don’t start to tackle issues of loneliness, mental health and social mobility now, then we will continue to put pressure on our vital workforces such as the care sector and the NHS. The forecasts for the loneliness epidemic are particularly shocking, but reading can be part of the solution.